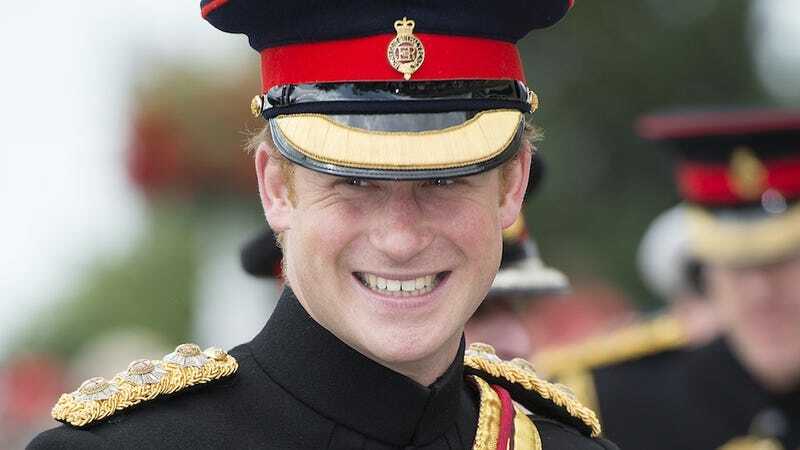 Don't worry, y'all, Prince Harry might yet escape the fate of permanent feckless bachelorhood. Apparently he's seeing a new lady and they're currently cruising Saint-Tropez in a boat. THANK GOD, because the tabloid coverage of the royal family has been positively desperate of late. Life & Style is convinced Queen Elizabeth and Kate Middleton are feuding like a couple of two-bit Real Housewives of Orange County cast members. Don't even get me started about those stupid pregnancy "rumors." "This trip's partly to celebrate Harry's 30th birthday which is just weeks away," a source explains to Us. Prince William's younger brother will celebrate his milestone 30th on Sept. 15. "It's also because he deserves some time off work to relax and recharge his batteries." Harry has been busy organizing the Invictus Games, held Sept. 10 through 14. "It's a sign that he's really smitten with Camilla that he feels comfortable to invite her away with friends he's known for years," the first insider adds to Us. You know a family's aristocracy when they've got not one but two Camillas knocking around.